InterNations Addis Ababa, Relaxing Evening @ Romina! 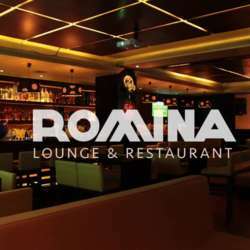 Romina Restaurant & Bar is a hip new place with a balcony located in Kasanchis. Come join fellow internationally-minded people for a relaxing evening of good food, drinks, and conversation! You can find Romina across the road from Zemen Bank and the back entrance of Hilton Hotel in the Nega City Mall. It's on the first floor just after the Radisson Blu Hotel and beyond the gas station. Call +251118547217 if you are having any issues.